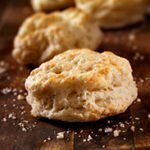 Have you ever had those addictive biscuits from Red Lobster? Well cry no more because this recipe is an amazing replica! 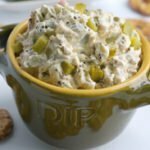 It’s pretty high in dairy so don’t eat the whole batch, but these biscuits make the perfect companion to a good home cooked meal. Yummy! 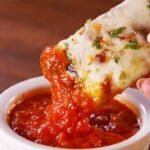 Put the mozzarella cheese and cream cheese into a microwave safe bowl and heat for 20 seconds at a time (stirring after every 20 seconds) until the consistency is super sticky and there is no more melted cheese. In a separate bowl mix together almond flour, eggs, baking powder, and garlic powder. Combine the almond flour mixture into the mozzarella mixture. Add the cheddar cheese and mix together. Lightly dust some plastic wrap with almond flour and pour the mixture into the middle and wrap into a ball shape. Put into the freezer for 30 minutes. Preheat oven to 425 and remove the dough ball from the freezer. Cut into 8 pieces and roll into small balls. Place on a buttered baking sheet and bake in the oven for 10-12 minutes. (Optional) butter with garlic butter (add some garlic powder to some butter).